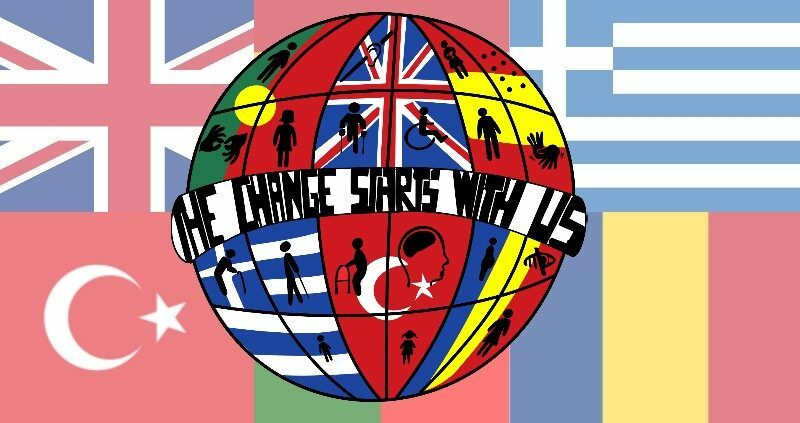 We are proud to announce that our Erasmus plus project, “The Change Starts with Us” has been approved. This project aims to link children with or without disabilities and decrease the number of ESL (Early School Leavers) amongst children with disabilities. What do you think when you hear the word disable? Probably you immediately feel sorry for that person; most of us visualise someone in a wheelchair or mentally disabled, not capable of carrying out routine. Disability affects 15-20% of every country’s population. At least 650 million of people have disabilities worldwide and the United Kingdom has the second highest prevalence of disability with 27.2% of the population. Students with a learning disability are bullied and harassed by others. Bullying and harassment may come in the form of physical aggression, spreading rumours, social exclusion, taking belongings, imitating and making fun of. Attending special classes, requiring extra help, being seen to be different, being treated differently by teachers or having a lack of social awareness can increase the risk of being bullied and harassment. Bullying impacts includes decreased academic performance, absenteeism, anxiety, depression, self-harm and early school leaving as well. The project helps children understand what it means and how it feels to be a young person with a disability. It gives students the opportunity to learn what involves when someone has a disability and how do they have to adapt,to go to school, or to work as independently as possible. Encourage children to accept their peers with disabilities and find ways to include everyone in school and after-school activities. Increase the awareness of young people with disability issues and people with a disability living in their local communities. Encourage schools to embrace disability awareness and inclusion as part of their core curriculum. We decided to organise this project with 5 partners: Turkey, Portugal, Spain, Greece & Romania in order to become organisations that foster positive attitudes towards disabled people. Last but not least, our project aim is to acknowledge young people with skills and confidence so they can take personal action to enhance the inclusion of people with disability. To find out more about other projects click here.